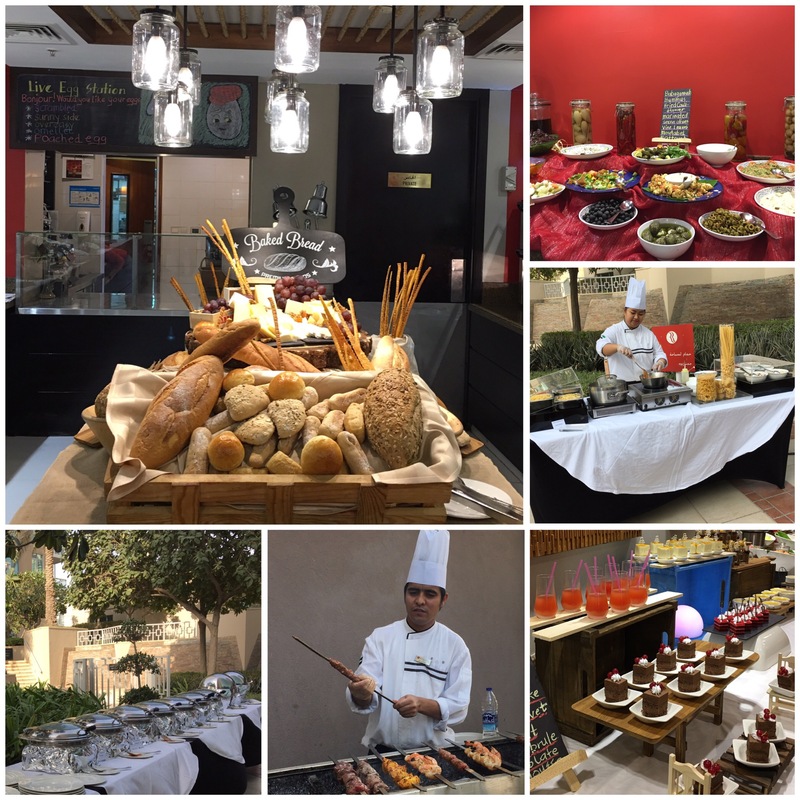 Last month I tried out a new Friday brunch with my family at Kenza restaurant. Translated as “treasure” in Arabic, Kenza let’s you treat your taste buds to distinctly modern Middle Eastern and international cuisine. Kenza offers a family friendly brunch every Friday. Kenza is an all-day dining restaurant located on the 2nd floor of Ramada Downtown Dubai. It offers indoor and outdoor dining space. Kenza is a perfect place to sit and relax with a view of Burj Khalifa. Though Kenza is an all-day dining restaurant that serves buffet in the morning, afternoon and night, it also has an A la carte menu. Apart from Friday brunch, it also has speciality night, almost every night. What can you expect from their ‘Downtown Family Brunch’ that happens every Friday? Their Friday brunch offers a limited but diverse menu that caters to all palates. Salad station offered a great and unique variety of salads. A range of refreshing mocktails, fresh juices and hot beverages. Live cooking stations. The pasta station was a big hit with everyone. Main course is served outdoors where as the other stations are indoors. For Main course, there was a variety of different cuisines like Arabic, Indian, Chinese, Italian and more. Our favorite station was their desserts as they served a great variety of desserts that were creative and delicious. Kenza is a kid friendly restaurant that offers child friendly activities and a separate kids menu. 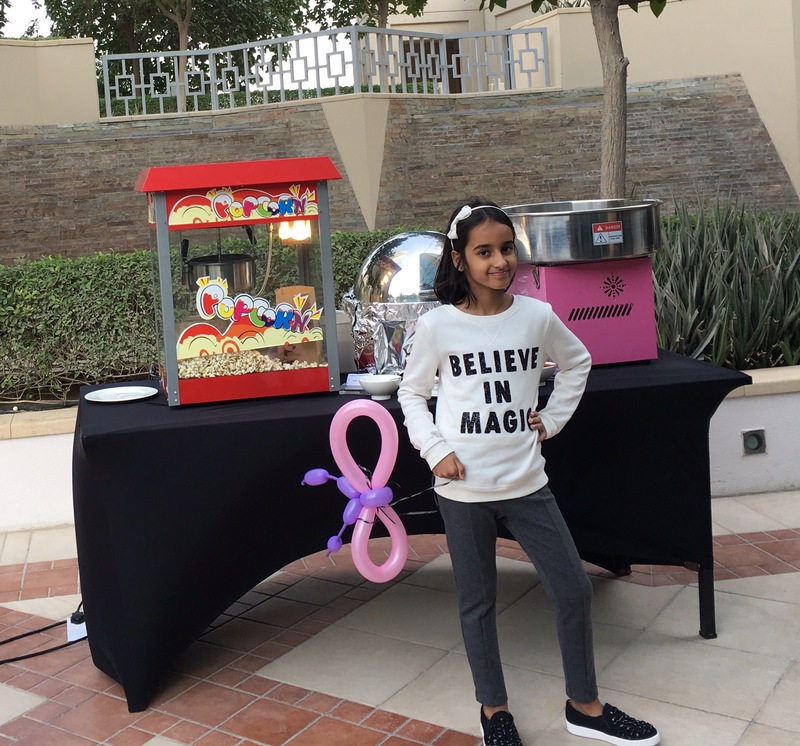 You can expect most of the popular food loved by the kids like French fries, burgers, nuggets, popcorn, cotton candy etc. The brunch also includes face painting, balloons for every kid and art sessions. The children are sure to have a good time. Overall, we had a good time. Their Friday brunch is reasonably priced at AED 149 per person. If you are looking for an affordable and family friendly Friday brunch in Downtown Dubai, then Kenza is the place for you.